The balance between the Worlds has been thrown off, Evil is corrupting the Earth, and Death runs amok in the Lands. Seeking guidance from a Higher Demon, Ashito rushes to Void city, a strong magnet for the Sick and Twisted. It is his self proclaimed destiny to destroy those mighty entities, known as the Prime Evils, in a war that has lasted for over 3000 years. 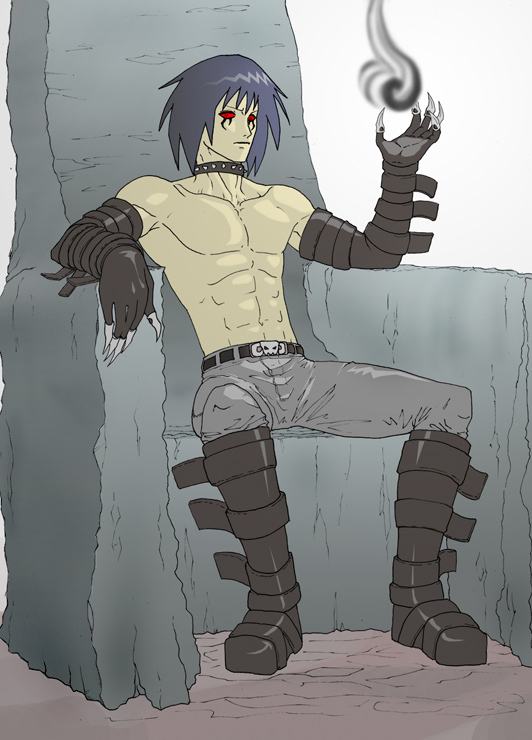 Ashito is a misanthrope, he despises humans, and what has become of humanity. He does not like to be touched, and is excessively violent when provoked..
His drive to save the world does contradict his feelings towards humans, but the secret to his motivation comes from something else...? Blasphemy and Azrail come from Worlds corrupted with the Prime Evils apocalyptic Schemes. Ashito doesnt recognize those two as either humans or demons, and hence has no animosity towards them. 3- Through mystic circles and symbols (and sometimes sacrifices) Ashito can summon demons that have not been sealed. The demon summoned, however, must be weaker than Ashito for him to be able to control him, otherwise it will run amock and may attack its summoner. Usually demons summoned this way are the ones that Ashito couldnt seal, hence are stronger than the ones in his tome. This summon requires more energy and as mentioned, different sacrifices/conditions for each demons, i.e, he must have knowledge of the demon. 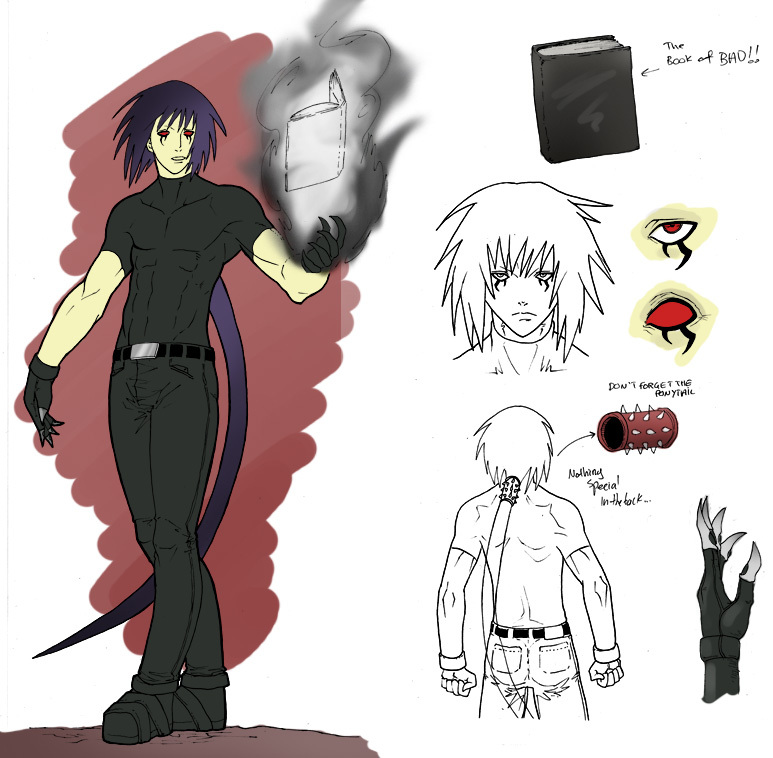 Book enabling Ashito to seal demons he defeated, and summon them again to do his bidding. The book enables quick summoning without use of complex rituals. This is what enables ashito to summon demons and to see the souls of others. The Evil Eyes have an effect on the weak minded ranging from paralysis to death, but strong spirits can overcome its effect.